These are 4 Exceptionally detailed and diminutive BOLASPIDELLA trilobites. These very small trilobites are not very common and if found usually mistaken for other species. 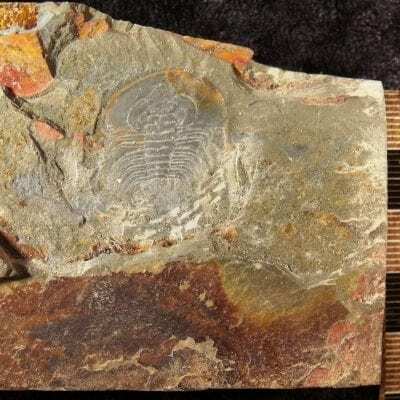 BOLASPIDELLA trilobites are .23 inch, .21 inch, .18 inch and . 14 inch respectfully. Set on an irregular shaped matrix block that is 2 1/8 by 1 1/4. Classic trilobites from a classic location.